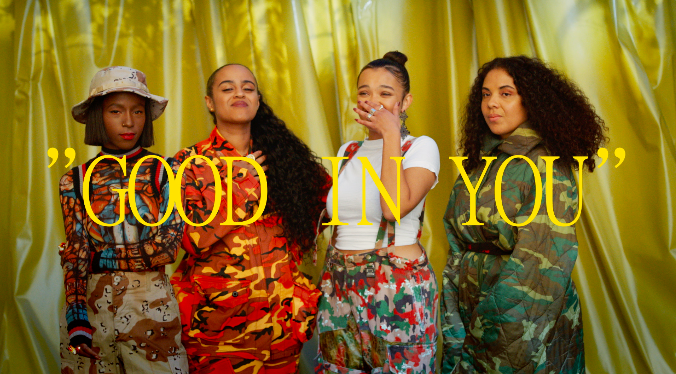 SEINABO SEY REVEALS VIDEO FOR LATEST SINGLE, "GOOD IN YOU"
Seinabo Sey has just revealed her brand new video for latest single, Good In You. It was directed by Senay Berhe and shot in Stockholm. The video features Seinabo and her friends dancing, partying and hanging out. It has a feel-good vibe throughout, and was styled by Selam Fessahaye who has received praise from Vogue and other international media, for her show during Stockholm Fashion Week in the Summer. Good In You is taken from Seinabo’s latest album, I’m A Dream which sees Seinabo at her most poised, passionate and powerful. Following an extended stay in West Africa, Seinabo took the creative reigns and spearheaded I’m A Dream. She crafted songs around the issues of womanhood, feminism, identity and body positivity. The album is a triumph after what Seinabo describes as a challenging few years - “This time around it felt really important to make the story that I’m telling directly, and very, personal. Every song represents a part of my life from the past year and a bit”. Seinabo is heading off on a European tour in November to celebrate the release of I’m A Dream. The Swedish/Gambian vocal powerhouse will kick the tour off at Stockholm’s Ericsson Globe on Friday, before she makes her way around Europe. See all dates and buy tickets here.